Along with an IMSAI PCS-80/30 I acquired, I received some documentation. 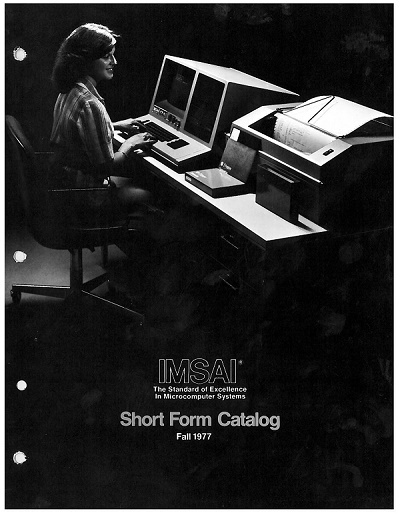 Among the documents was the IMSAI Short Form Catalog for Fall 1977. I would imagine this is the catalog that was available when the original owner of the PCS-80/30 purchased it. It is a very interesting view of what was available from IMSAI at the time. The lady on the cover was Marcie Mafei, from our (IMSAI) service department.